The Red Piano by Andrê Leblanc and Barroux (2010). 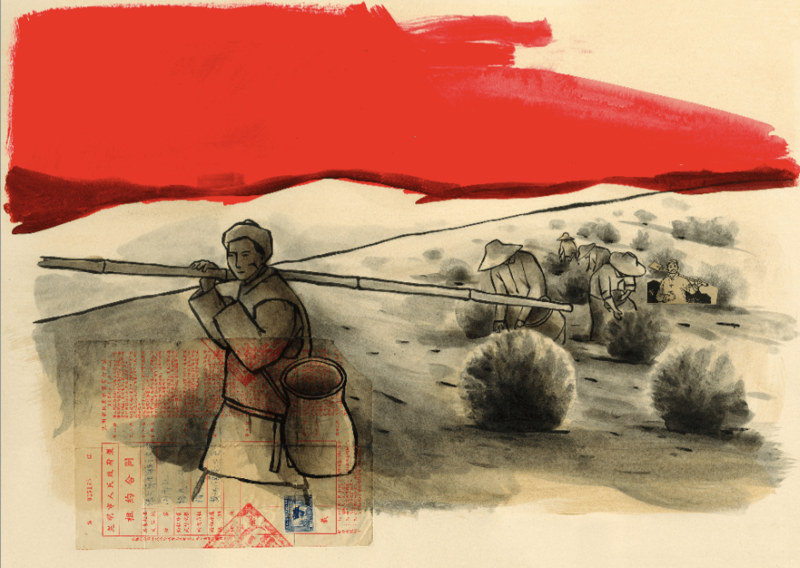 There aren’t a ton of picture books about The Cultural Revolution in China, but as China’s history fascinates me, I was very happy to find The Red Piano. 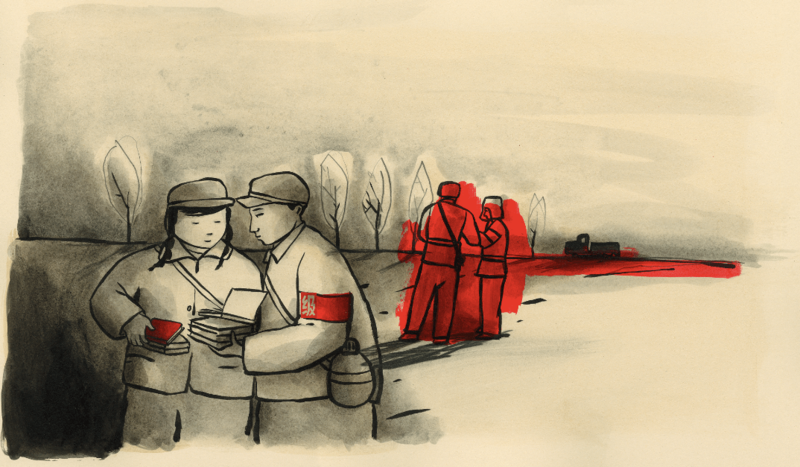 It’s an incredible book about a young girl, a re-education camp, and the piano that connects her to memories of her old life, to freedom. There is a piano, miraculously, hidden in the camp. Music is what helps the girl survive. Remember. Feel human, feel hope. One day, she’s discovered, and punished. “The music in her heart subsides.” Until, another day, it is all over. The illustrations are bleakly beautiful. Stark. 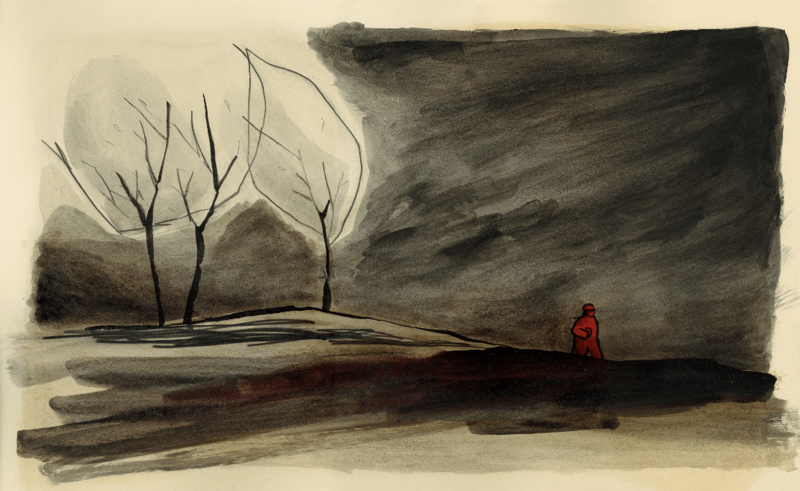 Cream paper, ink gray, bleeding bursts of red. 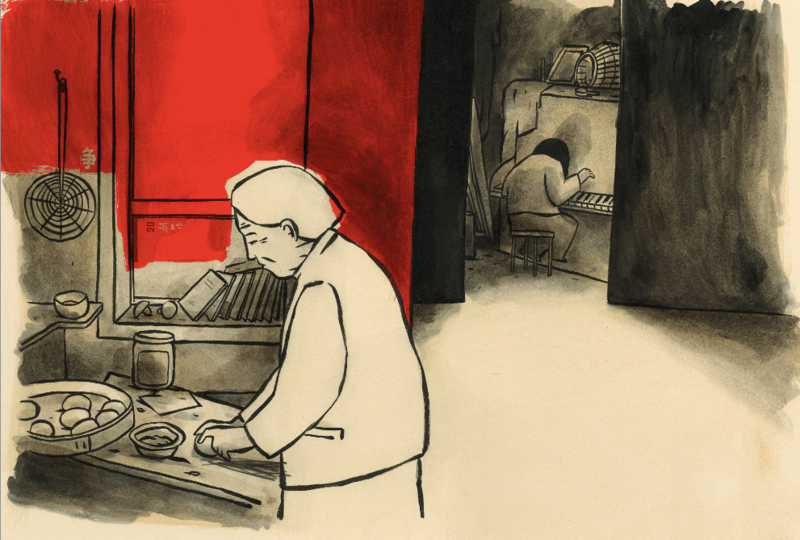 The story is inspired by concert pianist Zhu Xiao-Mei‘s true story. You may also want to check out the middle grade memoir, Red Scarf Girl, which covers the same historical period. read the book, play (or listen to) piano! I love picture books that are both beautiful and inspired by amazing true stories. Thanks for sharing! I look forward to getting this from the library. It’s interesting that the title of the book describes the piano as being red, but the illustrations don’t portray it this way. I wonder why the cupboard doors in the kitchen are red, instead? I think it was a bold and inspired artistic choice to use this color palette. In China red represents joy and good fortune, things that are auspicious in general, while black is at best neutral.